Bellerin is tipped for start for Arsenal against PSG tomorrow in the Champions League. PSG have endured a mixed start to the season - their first campaign without Ibrahimovic, who moved to Manchester United this summer, in four years. 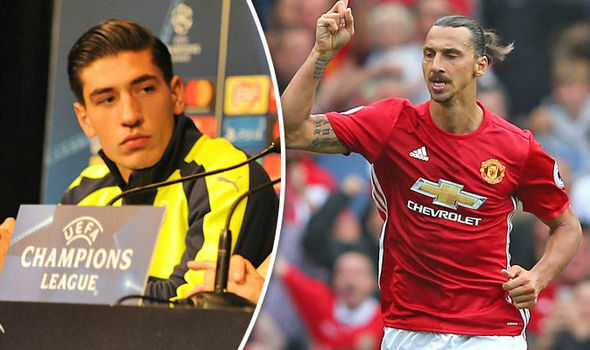 But Spaniard Bellerin does not believe the absence of the 34-year-old striker makes PSG an easier opponent. "As a club, they have lots of good players so I don't think it affects them at all," he said. "They have a really strong three and any player up front will be dangerous. "We have to face the match in the same way that we would if Ibra was playing. We feel up for it." 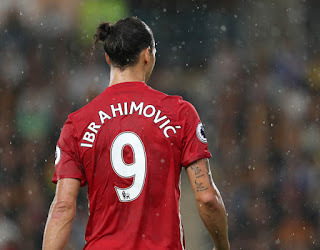 Ibrahimovic has already scored five goals for United since completing his free transfer from Paris. Reports emerged on Sunday that United are already considering offering the Swede an extension on his current contract to keep him at the club until 2019. Ibrahimovic is one a one-year deal at Old Trafford, with an option to extend his terms by a further 12 months. Contrary to Bellerin, Arsenal boss Arsene Wenger believes PSG have suffered a downturn since losing the striker. "They will continue to be the dominant team in France but they lost more than a player with Ibrahimovic," Wenger said. "He was the leader, the captain, a charismatic carrier of the ambition of the club. "It's always difficult to measure, when you lose a player of that stature, how big the damage is. "At the moment they have also changed managers so they are trying to find their feet at the moment."